Charlottesville is a city where you can enjoy small time city lights, yet drive 10-15 minutes and suddenly be surrounded by nature. A place where it is possible to maintain a friendly atmosphere without sacrificing big conveniences, great restaurants and a thriving nightlife. Life in Charlottesville is lived with the beautiful backdrop of the Blue Ridge Mountains providing a serene atmosphere to daily life. At Town, we have helped many people move to the City of Charlottesville as well as many of the wonderful areas in surrounding Albemarle, Fluvanna, and Green Counties. We have created this page to answer many of the questions we hear when assisting new movers to the Greater Charlottesville area. Charlottesville, VA is located in the heart of the Piedmont region of Virginia, just over an hour West of Richmond and two hours south of DC. The city is set in Albemarle County, and as such, offers a unique landscape that draws in residents of all types. Charlottesville is beautiful all throughout the year, with each of the four seasons adding its own unique touch to the mixed scenery. Located centrally in Virginia in the Blue Ridge Mountains, Charlottesville has a positioning that makes it easily accessible from Richmond, Washington D.C., surrounding communities and just about everywhere else in Virginia. The city is situated at the junction of Interstate 64 and Route 29, known locally as Emmet Street, yet offers access to an array of the area’s most popular byways. Interstate 64 runs east to west along the southern border of Charlottesville and gives residents the option to travel all of the way out to Virginia Beach simply by following this roadway east. Traveling west on I-64, Charlottesville residents are approximately two hours from Harrisonburg,VA (via 64->I-81) or four hours from West Virginia. Route 29, on the other hand, has a north-to-south route that takes its travelers up into the northern portion of Virginia and to Washington D.C. or south to Lynchburg. Commuters traveling on the northern end of town also have quick access to Route 250. This byway offers an east-to-west route through the city connecting the eastern Pantops area to the City and westerly to the Western Albemarle/Crozet area. Moving to the area? 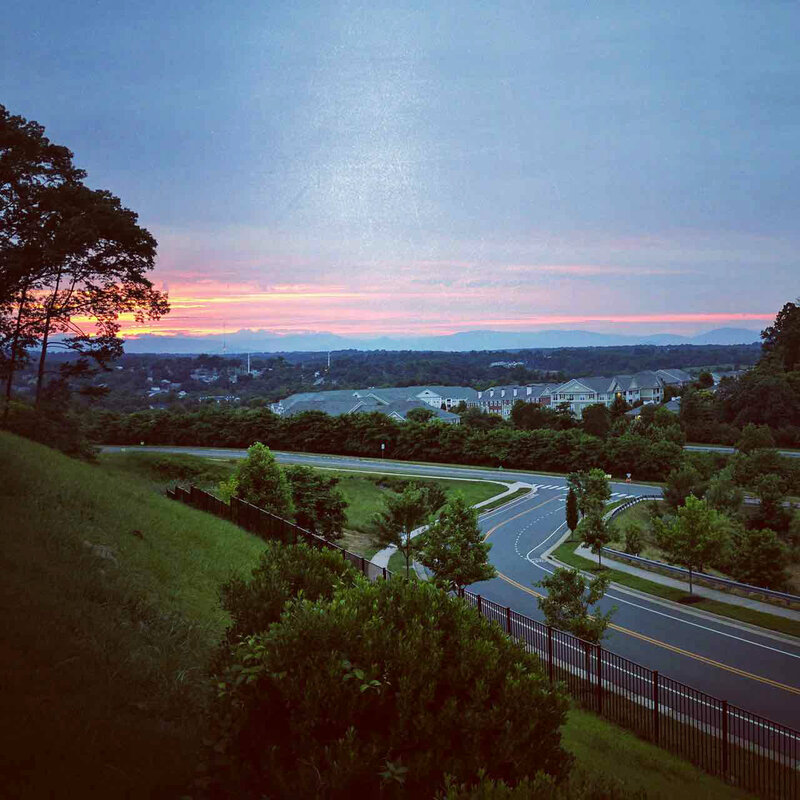 Check out 11 reasons we love living in Charlottesville! Going back to those big-city conveniences, mass transit users also have fantastic access to Charlottesville, as there is both a Greyhound bus station and an Amtrak train station located on West Main Street in Downtown. Best of all, these conveniences are located along the free trolley route in Charlottesville, so those without a car can always get where they need to go. The Charlottesville Amtrak station follows three routes, two of which end in New York City, and the last that arrives in Boston. Charlottesville Albemarle Airport is set less than 10 miles from city center and is accessible via Route 29. This airport is connected with six other major cities and offers daily flights to Washington D.C., Charlotte, Philadelphia, Atlanta, New York City and Chicago. Passengers can choose from their choice of three airlines from Charlottesville’s airport: Delta, American Airlines and United. New movers to Charlottesville realize quickly that there is no lack of sites to see or places to go to keep residents occupied. The region is steeped in culture, and there are attractions to lure in artists, history buffs, outdoor enthusiasts and everything in between. Some of the most notable sites in Charlottesville are those that are connected to two of our nation’s presidents. First is Thomas Jefferson’s Monticello, with its stately main house, plantation and brilliant gardens filled with rainbows of flowers and fantastic experimental plants. Monticello offers private tours and behind-the-scenes glimpses at this living legacy to the nation’s third president. 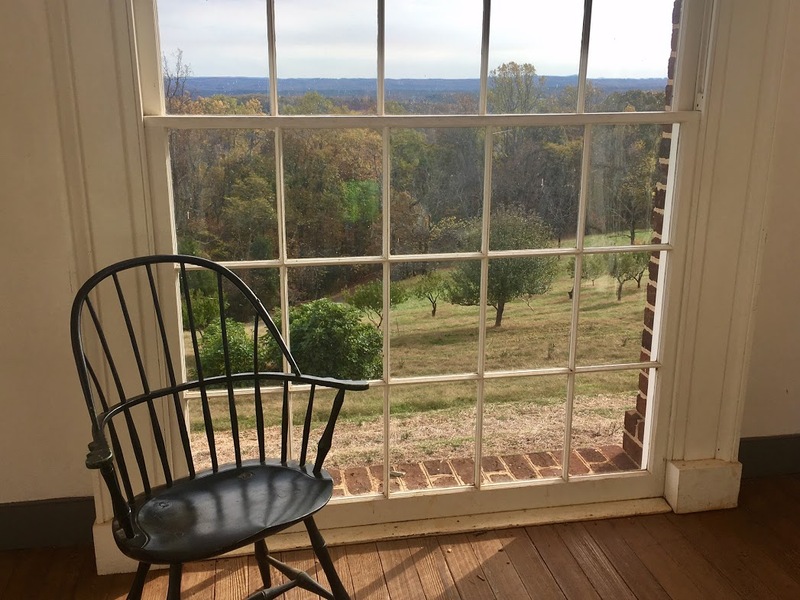 Continuing with the presidential theme, James Monroe’s Highland is another historical favorite located just 15 minutes south of Charlottesville. Walking through the 18th century home transports visitors back in time, and the displays of artifacts and period pieces only enhance this experience. Looking for even more glimpses at Charlottesville’s past? There are plenty of other sites to see, including the University of Virginia Campus, which features The Rotunda – a stunning building designed by Thomas Jefferson; the Albemarle County Courthouse; the 18th and 19th century structures of Courthouse Square, which surrounds the courthouse; a collection of old taverns; monuments and markers noting the Confederate past of Charlottesville; and, of course, glorious turn of the century homes. If it is culture you seek in relocating to Charlottesville, look no further than the renowned Downtown Mall. Visitors come from miles around to see this pedestrian-only retail district and to shop at the nearly 120 specialty shops that are included. Find everything from home decor to clothing and gifts in the restored historic buildings of the Downtown Mall, and once you have had your fill, enjoy a meal at one of the nearly 30 restaurants that are scattered between the stores. Some of the popular eateries include Downtown Grille, The Whiskey Jar, Citizen Burger Bar, Bizou and Splendora’s Gelato. As you make your way through Downtown Mall, make sure to stop at some of the major attractions here, as well. One of the most prominent is the historic Paramount Theatre. This theatre was lovingly restored by a non-profit, so well that it was awarded the 2017 Outstanding Historic Theatre award by the League of Historic American Theatres. Live musical performances, ballets, movie screenings, behind-the-scenes tours and more can all be experienced here. The Freedom of Speech Wall is another attraction that visitors love to see while visiting Downtown Mall. This 54-foot-long piece of slate is a blank canvas for people to decorate with chalk however they see fit. The art is always changing – sometimes by the minute! Charlottesville is truly a music lover’s dream come true. The music scene here is thriving, and as such, big-name artists from every genre make their way to this fine city for performances. 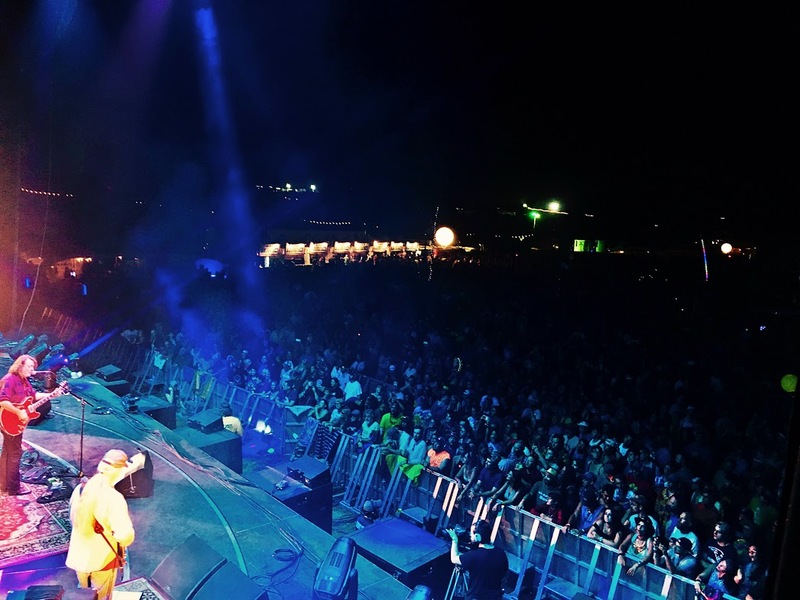 Artists such as U2, Metallica, Taylor Swift, Paul McCartney, Phish, Justin Timberlake, Loretta Lynn, Willie Nelson, Snoop Dogg, Wiz Khalifa, The Avett Brothers, Chris Stapleton and many others have graced the stages throughout the town. Another favorite act to make its way here – one that hails from Charlottesville and got its rise to fame right here in 1991 – is the Dave Matthews Band. The venues throughout the city are just as diverse as the artists who play at them. No matter what kind of experience you hope to have, Charlottesville is the place to be. Home to the UVA Wahoos, this massive venue plays host to some of the biggest concerts of the year. The stadium seats 61,500 patrons and offers a premium concert experience. Another major concert venue in Charlottesville is John Paul Jones Arena. Here, when the UVA basketball teams are not on the court, artists, such as PINK, entertain up to 14,593 visitors. Located on the east end of Downtown Mall, Sprint Pavilion is another local favorite. This venue plays host to smaller local bands, international icons and everything in between. Seating here is split between comfortable chairs surrounding the stage and a spacious lawn, yet the premium acoustics ensure each concert experience is just as exceptional as the next. The Jefferson is also located in Downtown Mall and offers a total capacity of approximately 750 people. There is open floor space in the auditorium, fixed seating on the main balcony and cafe-style seating on the upper balcony. A restaurant and concert venue, The Southern Cafe and Music Hall is a favorite for many reasons. Seating is limited here, but floor space is abundant, and the fun vibe that overtakes the joint during the small-scale concerts is unmatched. Perhaps the most unique venue in Charlottesville is The Garage. This venue is quite literally…a garage, yet it is so much more: It is an art gallery, it is an event location and it is a gathering space. 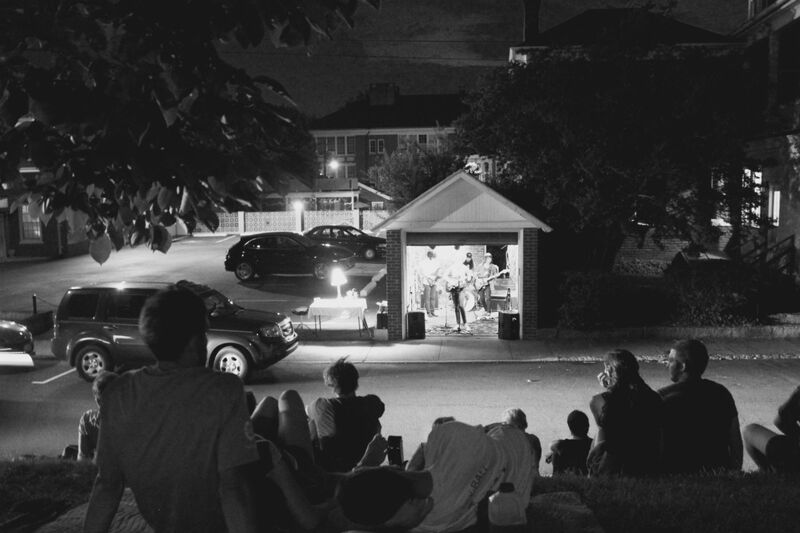 This venue mostly hosts smaller, local bands and is a testament to local art. Overlooking Emancipation Park, The Garage features no formal seating, yet visitors are encouraged to bring a chair and have a seat wherever they would like. Dive bars, such as Millers, where Dave Matthews sparked up his musical career, and Coupe’s, which features a great event schedule and indoor and outdoor seating, are also fantastic places to seek out live music shows in Charlottesville. There are also plenty of outdoor attractions to experience in and around Charlottesville. The Rivanna River, surrounded by tall deciduous trees and abundant with fish and wildlife, is the place to be for fishing, rafting, canoeing, swimming and water fun, and with Riverview Park along the shores, recreation space is limitless. Walking and hiking trails surround the river and many make up the Rivanna Trails, a 20 mile “urban wilderness” trail system that weaves around the city and connects many popular neighborhoods. Even more outdoor space – 200,000 acres of space, to be exact – is available just 30 minutes north in Shenandoah National Park. For quicker doses of nature, Saunders-Monticello Trail, Emancipation Park, McIntire Park, Pen Park, Ragged Mountain Natural Area and Tonsler Park all make excellent choices and are located conveniently throughout the city. In addition to the art galleries, outdoor spaces, shops and restaurants Charlottesville has to offer, this city also has an active events calendar that delights new residents and keeps citizens entertained all throughout the year. In the winter, the Lighting of the Lawn at the UVA campus and Charlottesville’s Grand Illumination are popular events. Springtime brings the Virginia Festival of the Books and the No. 1 annual event in Charlottesville each year, the Dogwood Festival. In April each year, The Tom Tom Founders Festival attracts artists, visionaries, speakers and individuals that hope to make small cities better places. The Fridays After Five free concert series, which is held at Sprint Pavilion in the Downtown Mall, also begins in late spring and runs all through the summer. In July each summer, Monticello hosts an Independence Day celebration to remember, and the Look3 Festival of the Photograph celebrates all things photography. As the leaves begin to change and the crisp air of autumn breezes in, the Virginia Film Festival and the annual Vegan Roots (formerly the Charlottesville Vegetarian) Festival keep residents entertained. Of course, you cannot be a true resident of Charlottesville, VA without cheering on the ‘Hoos all throughout the year. With 25 Division I teams to choose from, the University of Virginia has a thriving sports program. 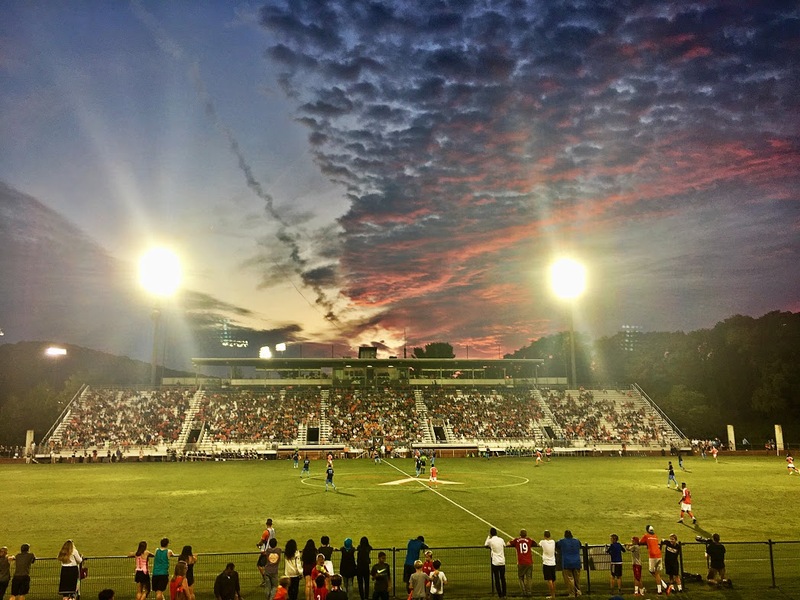 Join the roaring crowds at Scott Stadium each fall to witness the UVA football team, or head over to the John Paul Jones Arena for both men’s and women’s basketball. Before and after the games visit The Corner – a 7-block historic district within walking distance of the University. The Corner includes well-over 50 businesses ranging from bookstores to restaurants and is the place to be for great eats, shopping for team apparel in one of the many stores and after-dark fun in clubs and bars. During the warmer months, there is also an active events calendar at Sprint Pavilion. In addition to the major concerts this venue hosts, there are also festivals, wine and food tastings, public speakers and other events of all types. Sprint Pavilion is loved for events because of its unique set up and its proximity to all the other great amenities Downtown Mall has to offer. Beyond the obvious tourist attractions in Charlottesville, this small-time big city has a lot to offer its permanent residents, as well: excitement, opportunity, scenic beauty, a relaxed atmosphere and active housing and job markets. In fact, the city was noted as the Third Best Place to Live in the U.S. by the New York Post in 2016 and one of America’s Favorite Mountain Towns by Travel+Leisure Magazine in 2014. It is easy to see the broad appeal to new movers. Charlottesville has a thriving medical community, thanks in part to the university. UVA Health Systems Hospital, also known as University Hospital, provides outstanding care to patients of all ages. This is a teaching hospital with a total of 645 patient beds. The OB/GYN center is specially trained to accommodate high-risk pregnancies, though there is also a fantastic midwifery program through the hospital, for those that prefer a midwife’s care. University Hospital has a dedicated children’s hospital, which has been rated as a Top Children’s Hospital in the United States by U.S. World and Report, to treat Charlottesville’s tiniest citizens. The hospital also features state-of-the-art cancer, heart and vascular, and neuroscience centers. Additionally, UVA system outpatient centers are scattered throughout the city for convenience. Another fantastic hospital in Charlottesville is Sentara Martha Jefferson Hospital. This facility was founded over 100 years ago in 1903; that being said, its technology is anything but out of date. Martha Jefferson is a smaller hospital that features 176 private rooms for patient care. The birthing center at this hospital features a Level II special care nursery that can accommodate babies born as early as 34 weeks gestation. There is a specialized cancer center here on campus, as well as a cardiology center. Other notable departments at Martha Jefferson Hospital include neurology and orthopedics. Medical care is not the only thing that is easy to reach in Charlottesville, there are also plenty of places to relax and unwind. The city features a great number of hotels for visitors of the city or for residents that just want a quick night away from home. Popular options include the Omni Charlottesville Hotel, the Graduate Charlottesville, DoubleTree by Hilton Charlottesville, Residence Inn by Marriott Charlottesville Downtown and Oakhurst Inn, just to name a few. There are also charming bed and breakfasts scattered throughout the city, for those that prefer a more intimate atmosphere. Just want to get away for the day? No problem – Charlottesville has plenty of options for that, too. 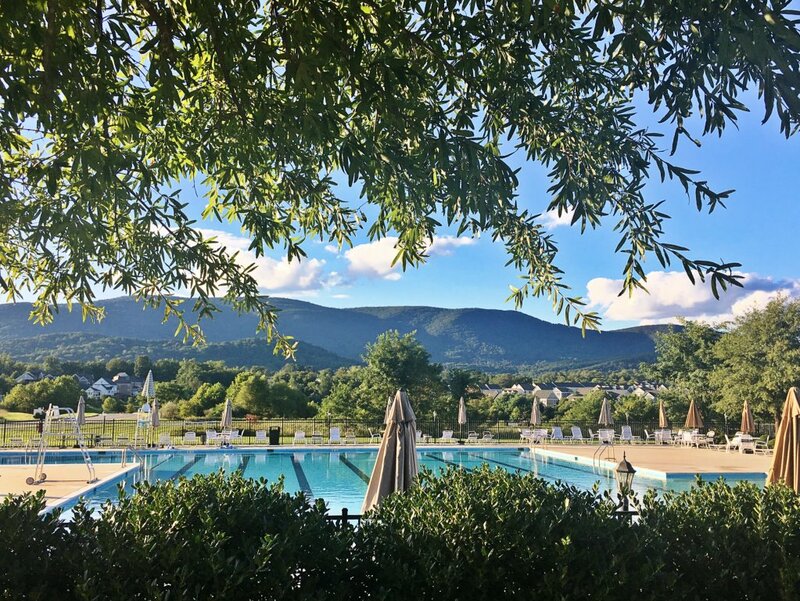 Check out one of Charlottesville’s golf courses – Meadowcreek Golf Course, Birdwood Golf Course or Farmington Country Club – or one of the many day spas, including Silver Lining Day Spa, Oasis Day Spa and Body Shop, Halo Salt Spa, Holladay Spa. Furthermore, there are wonderful vineyards in the Charlottesville area for tastings, tours and day escapes, including Thomas Jefferson Vineyard, which has ties to the man himself; Meriwether Springs Vineyard, a winery that is situated on 40 acres just outside of the city and Dave Matthews’ Blenheim Vineyards, amongst others. When choosing a place to live, area amenities are just as important as the events and attractions. Luckily for those moving to Charlottesville, there are no shortage of them in and around the city. Whether you are looking for something good for the body or good for the soul, there is something to accommodate your needs in Charlottesville. Health Care : Those seeking employment in the health sector have abundant opportunities at UVA Health Systems, the University of Virginia Medical Center and Sentara Martha Jefferson Hospital. Education : For teachers and administrators, The University of Virginia is a major employer for Charlottesville’s residents, as are the city’s primary and secondary schools. Government : There are government positions available with the U.S. Department of Defense and NGIC (National Ground and Intelligence Center), as well as through local government offices in the County of Albemarle and the City of Charlottesville. Technology : Charlottesville is also known for its technology culture, and new movers have ample choices with companies such as Willow Tree Apps, Locus Health, Silverchair and Merkle RKG (Rimm Kaufman Group). Finance : If it is employment in the financial sector you seek, Charlottesville has companies for that, too. Two major financial corporations in the city are CFA Institute and S&P Global (Formerly SNL Financial). Other top employers in Charlottesville include State Farm Mutual Auto Insurance; Wal-Mart; GE; the Northrop Grumman Company, a global security firm; World Strides, a travel company specializing in educational travel for students; Red Light Management, a music management company founded by Coran Capshaw and Crutchfield, a thriving electronics retailer specializing in car stereos, as well as home audio and video equipment. When relocating to Charlottesville, new residents are pleasantly surprised by the diversity of the housing market. Being a college town, the rental market in Charlottesville is strong. Renters have the option of newer apartment complexes, condominiums, apartments in historic buildings and even spacious rental homes. Factors such as square footage, amenities, inclusions and location all come into play when considering the monthly rent for these; however, on average, renters can expect to pay $1,700 per month. Many of these rental properties are situated around the college campus or within walking distance to the amenities of Downtown Mall for convenience, though there are also a great deal of options further out toward I-64 and even outside of the city center in the county. For new residents that are looking to buy, the average 2017 home price in Charlottesville, VA falls between $300,000 and $320,000. The homes in the area are built in a vast range of styles and range from historic mansions to modern, new construction beauties. 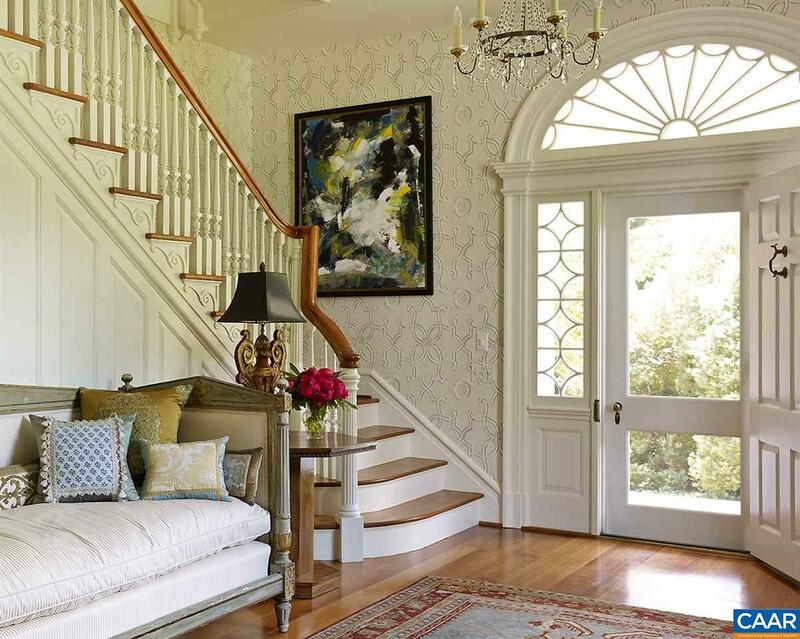 In some neighborhoods, these styles are mixed together for an eclectic atmosphere; in others, one specific style or time period dominates the landscape. Each neighborhood has its own specific draws for those relocating to Charlottesville, and the following list is just a sampling of what is offered. Barracks : Most of the homes are quite large and constructed around the 1930s. Belmont : New residents appreciate the walkability of this neighborhood, and its proximity to local amenities. North Downtown : This is an interesting area in that there is a great mixture of commercial and residential buildings. Access to Downtown Mall’s amenities are unmatched from this location. Martha Jefferson : This community is centered around the old Martha Jefferson building and provides fantastic access to the Downtown Mall. Rugby : This neighborhood features moderately-sized homes to multi-million dollar urban estates and a location that makes it practical for students and employees of UVA, as well as those that seek proximity to Downtown. Woolen Mills : As the oldest neighborhood in Charlottesville, this community has tons to offer those new movers that seek history. An 1800s chapel, a locally owned market and Meade Park add to the convenience and charm. Fry’s Spring : This neighborhood features a great mixture of purchasable single family homes and rental properties, which include houses, townhouses, condos and more. Fifeville : Residents moving to Charlottesville find beautiful large homes here, all of which constructed in a variety of styles. Rose Hill : Dating Back to the early 1900s, this neighborhood is ideal for families, students and UVA employees. Washington Park is a major attraction here. Southern Pines : This is a smaller neighborhood located within Rugby. Also a transitional area, this community is ideal for those seeking a convenient location between the campus and Downtown. Johnson Village : New residents seeking an established neighborhood with lots of mature trees need not look any further than this area. Most of the houses here are single family, and there is an elementary school at the center of the community. Kellytown/Rugby Heights : Also within walking distance to UVA and Downtown Mall, this community has a lot to offer. New movers also appreciate the strip of businesses along Rose Hill Drive here. St. Charles Place : Established in nature, this community features a mixture of new construction and older homes. Relocating to this neighborhood puts movers within walking distance of both Downtown and Rivanna Trail. Greenleaf : Located adjacent to a park and featuring charming bungalow homes, this neighborhood is a favorite of families. 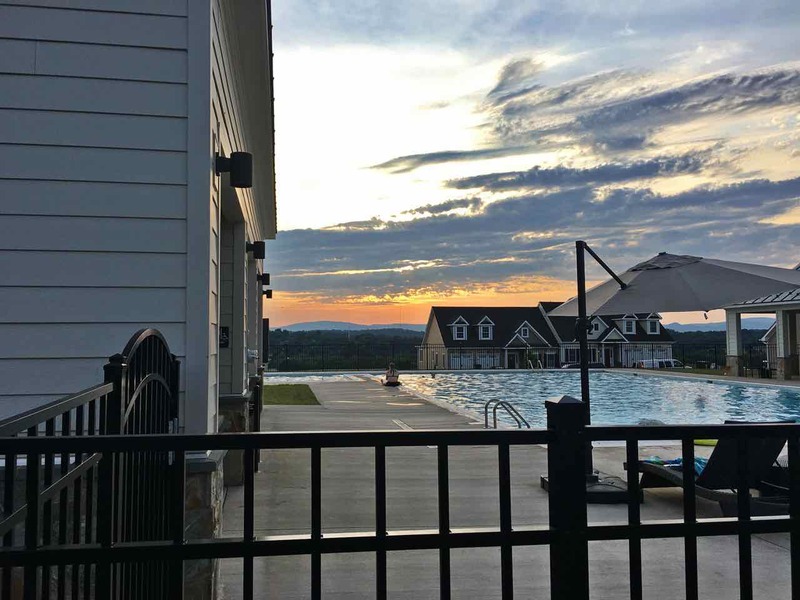 Canterbury Hills : Set in the Barracks area of Charlottesville, residents of this neighborhood are within 1 mile of a major shopping center and less than 3 miles from all the conveniences of Downtown. Greenbrier : Homeowners with families appreciate the close proximity to schools and recreation options in this neighborhood. Locust Grove : Set just off the Route 250, this community features a great mixture of historic and contemporary homes, access to two parks and a quiet atmosphere. Stonewater : Those that are new to the area love the smaller size of this neighborhood. Not only is it convenient to Downtown, it is also near Route 29 and Rio Road. Oak Hill Farm : Homeowners in this new neighborhood enjoy 1/2-acre lot sizes, beautiful views of Carter Mountain and great access to Charlottesville’s amenities. 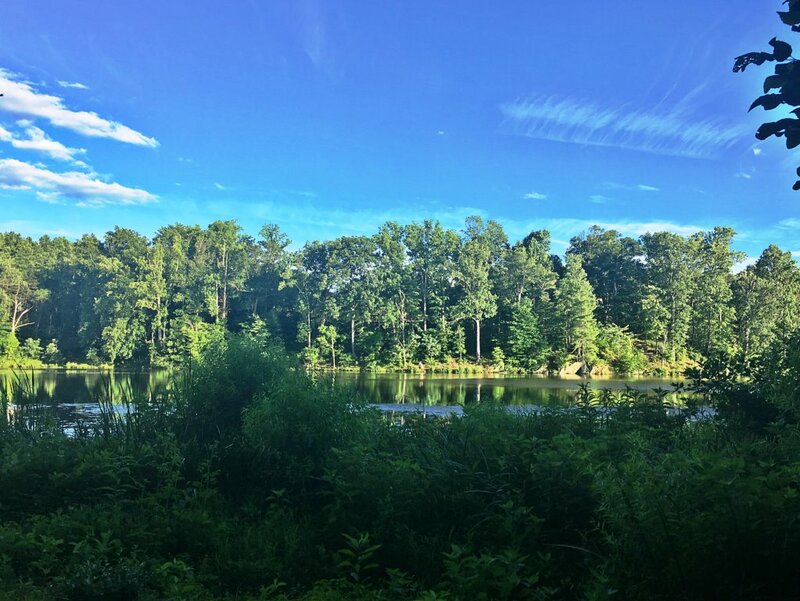 Huntley : This neighborhood is located just a stone’s throw from Downtown and UVA, though it feels worlds away, with its 7 acres of natural space, custom-built playground equipment and scenic walking trails. 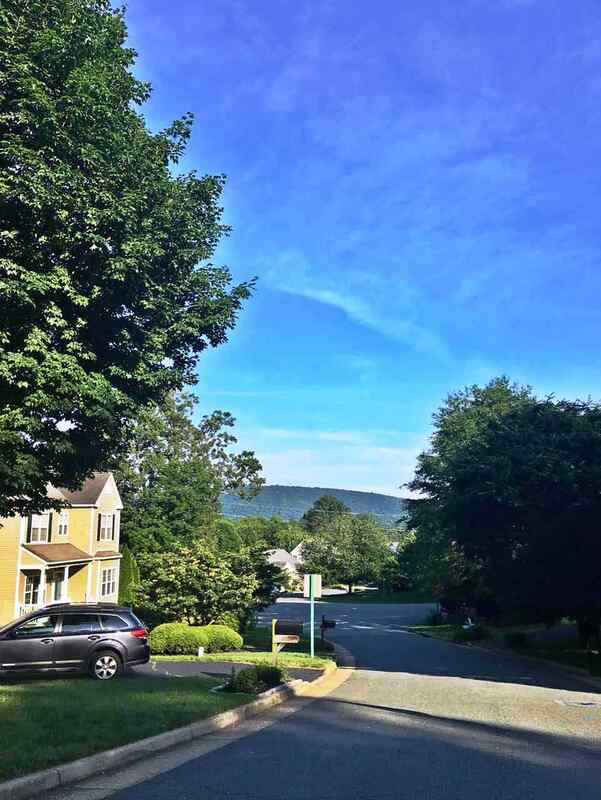 Riverwood on Rivanna : Set 10 miles outside of Charlottesville City, this neighborhood is located right along Rivanna River and features spectacular mountain views. Whittington : Featuring 96 lots measuring 1 acre in size each, acres of wooded common space and great access to all the region’s major roadways, this neighborhood is a true retreat just outside the city limits. Mountain Valley View Farm : New neighborhood with epic mountain views. Most homesites feature 20+ acre lots. This community is a one of a kind. Private schools in Charlottesville are also superb sources for a quality education. There are both religious and specialty-based schools for parents to choose from. St. Anne’s Belfield School is perhaps the largest, with nearly 950 students. Curriculums are offered for students ranging in age from preschool to Grade 12. Other popular private school options include The Covenant School, Charlottesville Catholic School, Charlottesville Waldorf School, The Miller School, Blue Ridge School, The Field School and several Montessori School options. The University of Virginia (UVA) is the obvious choice for many of Charlottesville’s college-aged residents. Pre-med degrees, including Biology and Psychology, are ever-popular with students; however, the various programs of the Business School are also well loved. UVA is not the only college in town, though. Students also have the option to get their Associate’s Degree at Piedmont Virginia Community College. Here, there are 40 programs to choose from, including those that are short-term job training and those that set the foundation for a bigger university experience. Should students want to get away, but not too far away, Virginia Commonwealth University is set just an hour east in Richmond, and Georgetown, as well as several other collegiate options, are set just 2 hours north in Washington, D.C. The Piedmont region of Virginia in which Charlottesville is located is magnificent. With a temperate four-season climate, protected from extremes by the surrounding mountains, there is never a bad time to get out and explore. The towns surrounding Charlottesville have a lot to offer for commuters who want to live outside city limits and also as day trip locales. 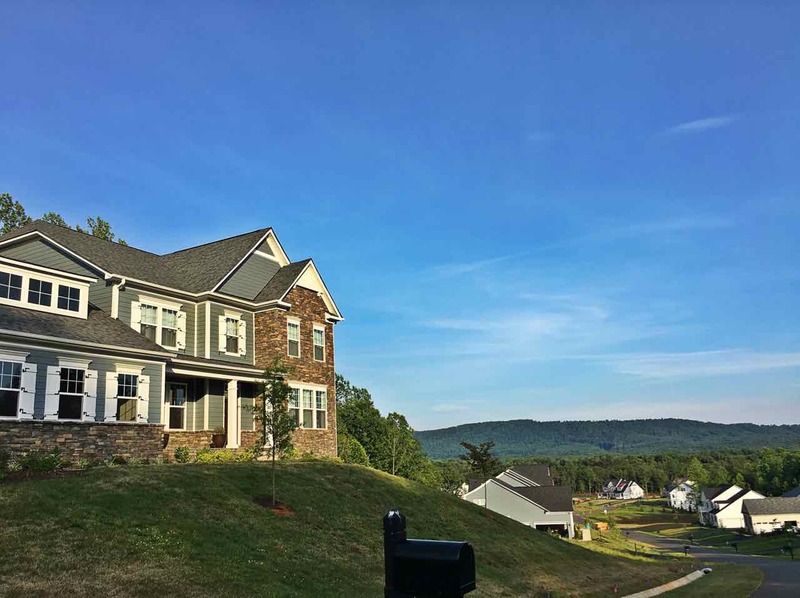 A rural haven approximately 15 miles north of Charlottesville, Ruckersville is a tight-knit community in Greene County with panoramic mountain views. The town has a growing Downtown area, which features a popular antique shop. Set near the Albemarle County line in Fluvanna County, Lake Monticello is a thriving community that was originally developed in the 1960s as a resort-style getaway location. Lake Monticello is a gated community, based around a lake of the same name and features a host of amenities for its residents. As such, this has become a major hub for those hoping to live just outside Charlottesville. This charming little “river” town dates back to the 1700s and is located just about 15 miles south of Charlottesville. Its downtown is chock-full of historic buildings and homes – over 150, in fact – and offers a true glimpse at the past. There is an interesting museum in town, and a walking tour is offered. Situated just 6 miles outside Charlottesville City in Western Albemarle is the town of Ivy. This is a small unincorporated area where history and natural beauty abounds. Visitors make their way here in the spring and fall to attend The Foxfield Races. Ivy is known for private homes with views and acreage. Drive 7 1/2 miles east from Charlottesville on Rt 250 and will find you in the town of Keswick. Popular attractions here include Keswick Hall and Golf Club, Keswick Vineyards and the Keswick Hunt Club. Horse farms and wide-open rural expanses separate the homes and businesses in this town, giving it a true oasis feel. 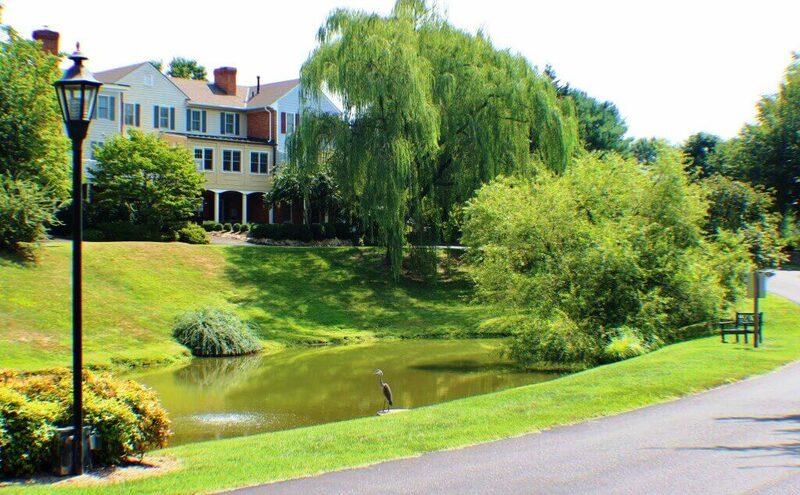 Keswick is also home to one of Charlottesville’s most exclusive gated communities, Glenmore. With a convenient location right off of Interstate 64, just 20 minutes outside of Charlottesville, Zions Crossroads is a great option for commuters. There is a convenient shopping center in town, The Shoppes at Spring Creek, as well as an assortment of hotels and restaurants. Golfers delight at the well-maintained lawns of Spring Creek Golf Club that is located here. Also toting the Spring Creek name, there is a large neighborhood filled with beautiful homes perfect for said commuters. Another great option for those wishing to be just outside the city center is the 29 north/Hollymead. This area is located just 6 miles from Charlottesville in Albemarle County and boasts an ideal mixture of attached and detached housing options. It is convenient to Charlottesville-Albemarle Airport, for those that travel often. This area is home to largest neighborhoods, Forest Lakes, a collection of 1600 single family and townhomes situated around 6 beautiful community lakes. For a dose of history and a glimpse at the agricultural side of this area, visit Earlysville, which is just 12 miles from Charlottesville. There are farms and vineyards to visit, unique local shops to explore and plenty of the famous Albemarle County nature to delight the eyes as you drive through. A charming town with much to offer, Barboursville is a tourist hotspot just outside of Charlottesville. This town is known for being the birthplace of President Zachary Taylor, for its selection of vineyards and also for its ruins of an 1880s home that was designed by Thomas Jefferson. An all-American country town, Free Union is situated less than 13 miles outside of Charlottesville and offers a slower pace of life. Commuters love the town for its mixture of proximity and peace, and residents stay because of the sense of community. Traditional events, such as a town Christmas tree lighting and a 4th of July parade, bring residents together. Quiet, serene, yet up-and-coming, White Hall is surrounded by mountainous views, apple orchards and expansive farms. These things are exactly why housing developments are popping up throughout the town. In addition to the natural beauty, White Hall is also known for the great wine at White Hall Vineyards. Charlottesville is more than just a destination city, it is an experience and a way of life. With so much to do and see, and even more within a short drive, residents of Charlottesville truly have it all. Whether visiting or making your home here permanently, come see what makes this city so special.